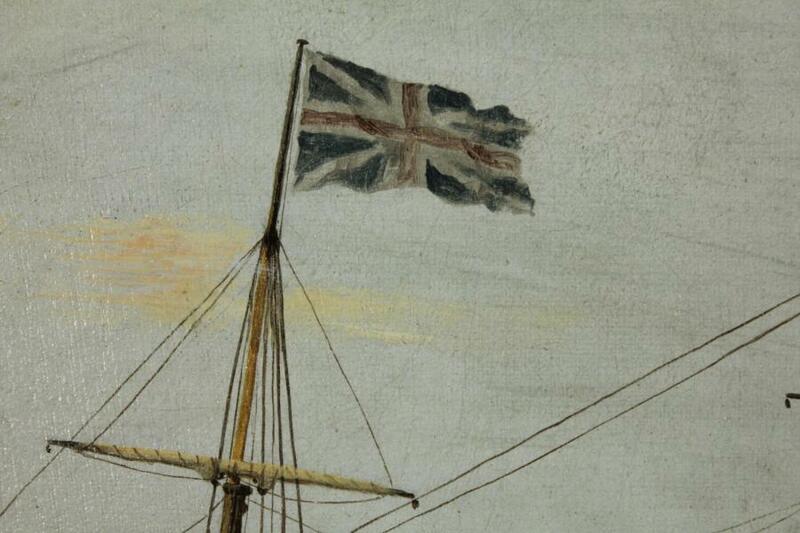 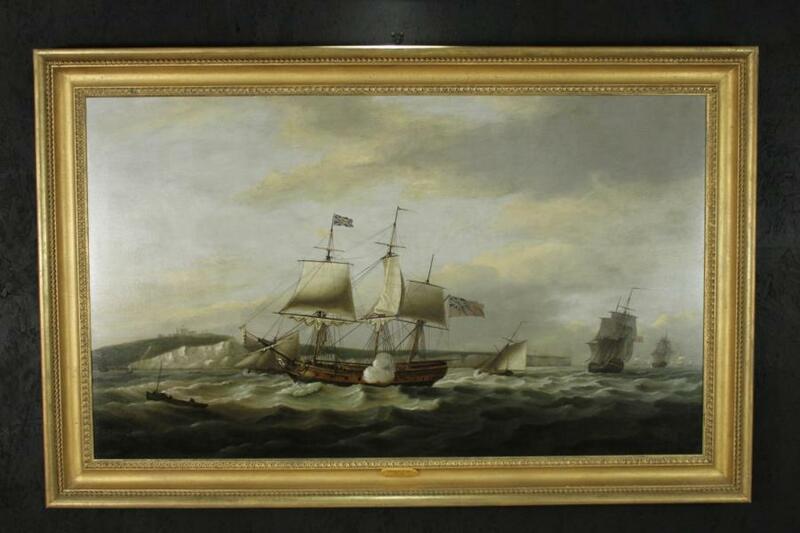 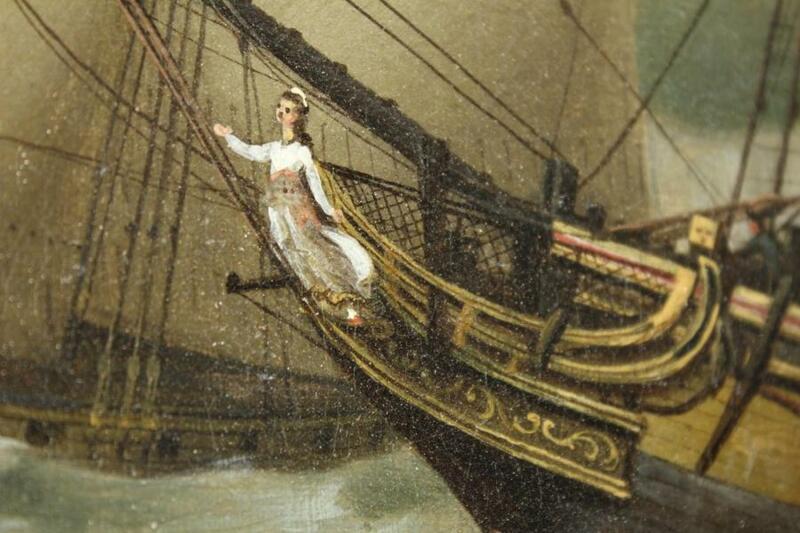 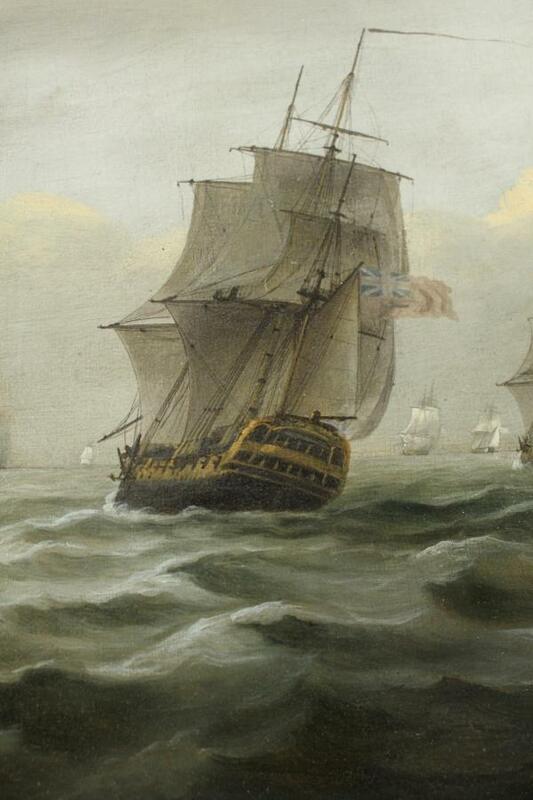 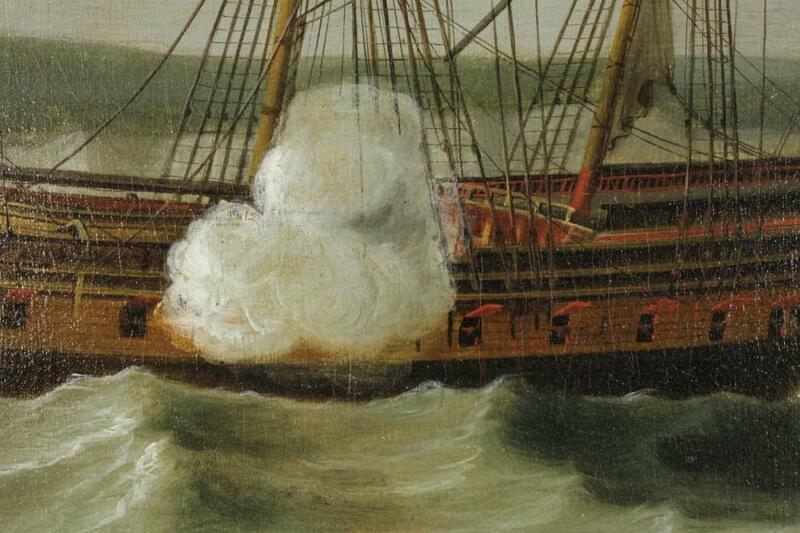 An original Thomas Luny oil painting – A British Merchantmen Ship. 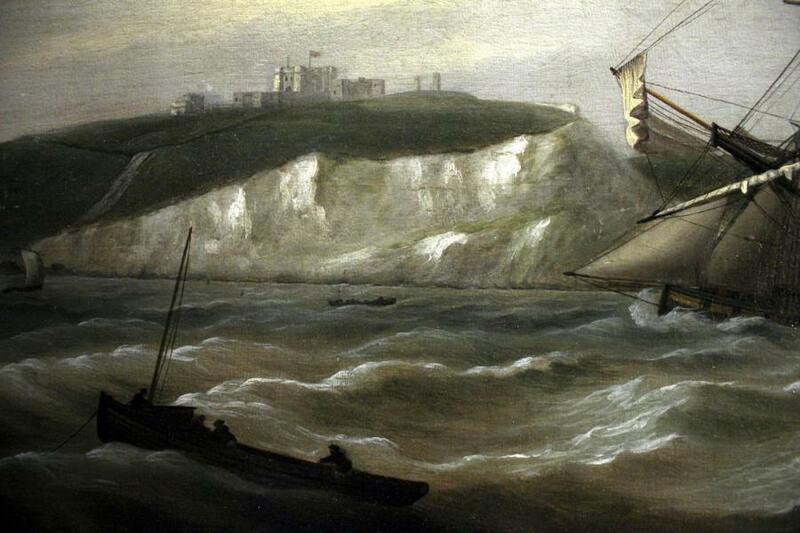 Hove to off Dover. 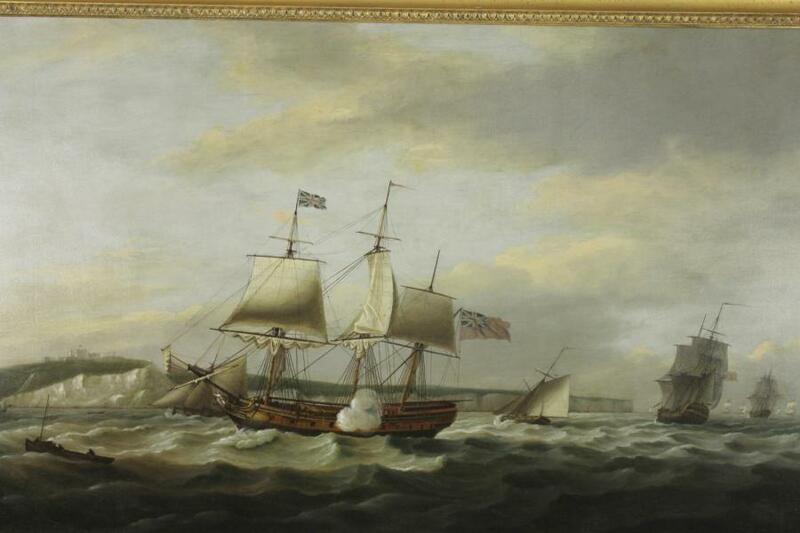 Signed and Dated 1793 lower left corner. 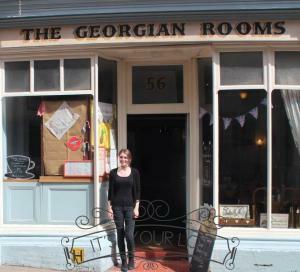 settling in Teignmouth, South Devon for the rest of his life.